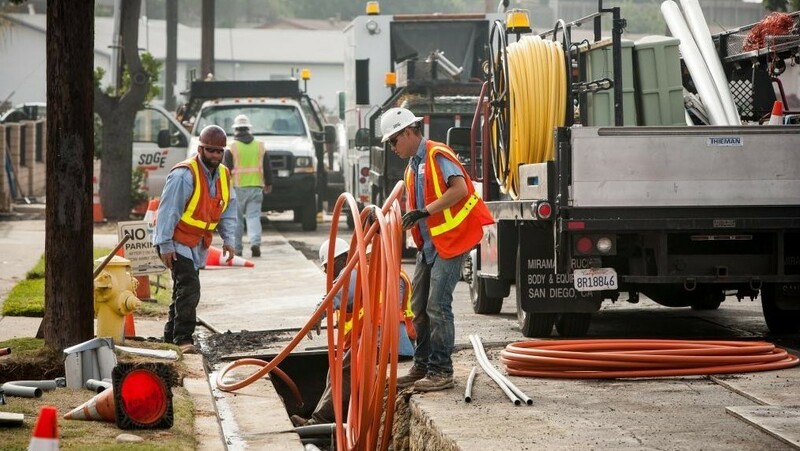 A Superior Court judge Tuesday threw out a lawsuit aimed at halting the Utilities Underground program that buries utility lines in San Diego neighborhoods. Superior Court Judge Judith F. Hayes granted the city’s motion for summary judgment, dismissing the lawsuit before it got to trial. If the city had lost the case at trial, it would have stopped the neighborhood portion of the program in its tracks by forcing the city to return to SDG&E ratepayers more than $200 million the utility collected from ratepayers and paid to the city for use in the Utilities Underground program. Much of that money has already been spent by the city on undergrounding projects in neighborhoods, and most of the remainder is earmarked for specific neighborhood projects, city officials said. The neighborhood portion of the city’s undergrounding program is financed from a special fund using money collected through a surcharge that SDG&E imposes on ratepayers and then pays to the city. The lawsuit asked that the surcharge be declared an illegal tax imposed by the city without voter approval. The judge agreed with the city attorney that the surcharge isn’t a tax, ruling that it is a fee paid to the city in exchange for the right to use the city’s electric infrastructure, according to City Attorney Mara W. Elliott.